Summer skin care. Yes! I love the way my skin feels after a day at the beach. Sun-kissed and smooth. 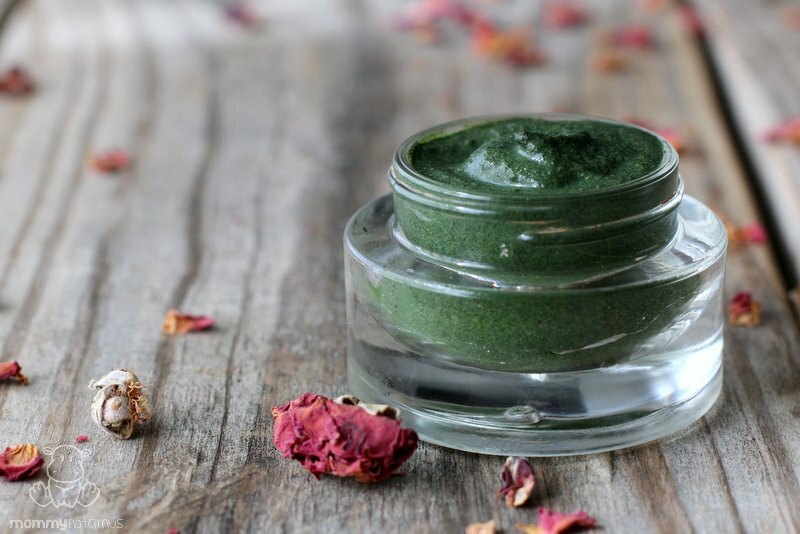 This homemade seaweed mask delivers that feeling in a bottle. Heather over at Mommypotamus really mixed up a winner with this recipe! If using an essential oil, add it to the kelp/chlorella powder and stir until it is thoroughly mixed in. Add in yogurt/aloe vera gel/oil and mix again. Scoop out the seaweed mask with a spoon, then use your fingertips to apply it to your face. Allow it to sit for 15-30 minutes, then rinse. ***For the yogurt base, about one week if stored in the fridge. For fresh aloe, about two days in the fridge. An oil-based mask will last longer – at least several weeks in the fridge.